The Ottawa 67’s continued their winning ways in overtime on Saturday night, with a familiar face again playing the role of hero. 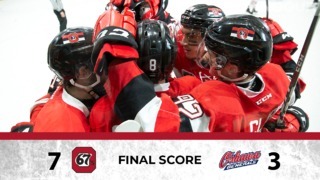 For the third time in as many games, the Ottawa 67’s picked up the extra point in the extra frame, thanks to a 1-0 victory over the Niagara IceDogs. 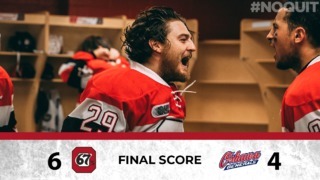 And for the third time in as many games, it was Kody Clark ending things, as the 67’s sophomore scored the game’s only goal with five seconds left in overtime. Clark, who also won the game for Ottawa on Friday night at home when he scored in overtime against Oshawa as well as on October 15 in Saulte Ste. Marie, now has seven goals and 11 points in 13 games this year to lead the Barber Poles in scoring. 67’s goalie Olivier Tremblay was named the game’s first star as the netminder turned away all 29 Niagara shots to pick up the shutout. The 67’s return to action in Hamilton on Sunday afternoon to close out the weekend schedule against the Bulldogs before returning home October 28 to host Saginaw. Three of Kody Clark’s seven goals this season have been overtime winners. Both teams were scoreless on the powerplay on Saturday night. 67’s winger Tye Felhaber led his team with six shots. Captain Travis Barron was close behind with five shots on the night. Niagara outshot Ottawa 29-25 on Saturday night. 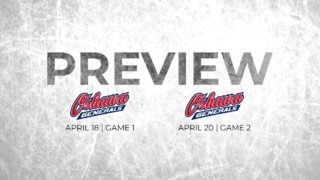 The 67’s play five of their next seven games at home. The 67’s have allowed just two goals in their last two games.